It’s not often you celebrate a billionth “birthday” so to be able to celebrate two at the same time must be pretty rare. On 17 May 2016, eduroam clocked up two amazing milestones – registering both one billion roaming authentications (either in-country or international) since the beginning of the year and the one billionth international authentication (when users are connecting from outside their home country) since the service was launched. Since its launch on 1 September 2008 as a GÉANT service, the aim of eduroam has been to help the research and education community collaborate both nationally and internationally. From its early beginnings with a handful of European universities, the service has grown to cover over 70 countries and tens of thousands of wifi hotspots on every continent around the globe. Now researchers can travel to each other’s university and can instantly and securely connect to eduroam without the need for guest identities, sharing passwords or insecure webpage logins. What is most amazing about eduroam is its seamless and virtually invisible operation – truly the mark of a successful service. Put simply, it just works! eduroam stands as an example of the success of international collaboration. Experts from around the world have all contributed time, effort and expertise to ensure that research and education can benefit from advanced technology. To all those people who have worked (and continue to work) on making eduroam the success it is we thank you. 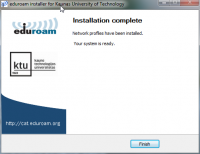 on 03 May 2014 .
eduroam CAT is the eduroam Configuration Assistant Tool. 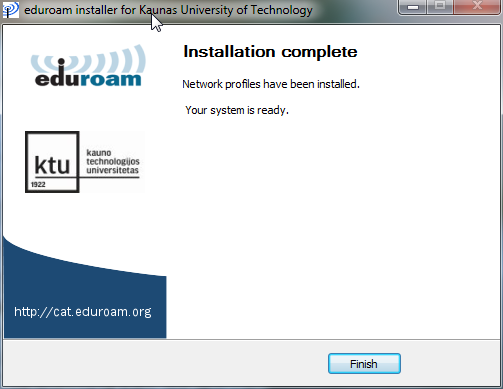 Its purpose is to support you, an eduroam Identity Provider administrator, by allowing you to generate customised eduroam installers for various platforms. The customisation includes your IdP's name, location and logo, contact details for your helpdesk, and of course the RADIUS settings which users need to uniquely identify your IdP when roaming. 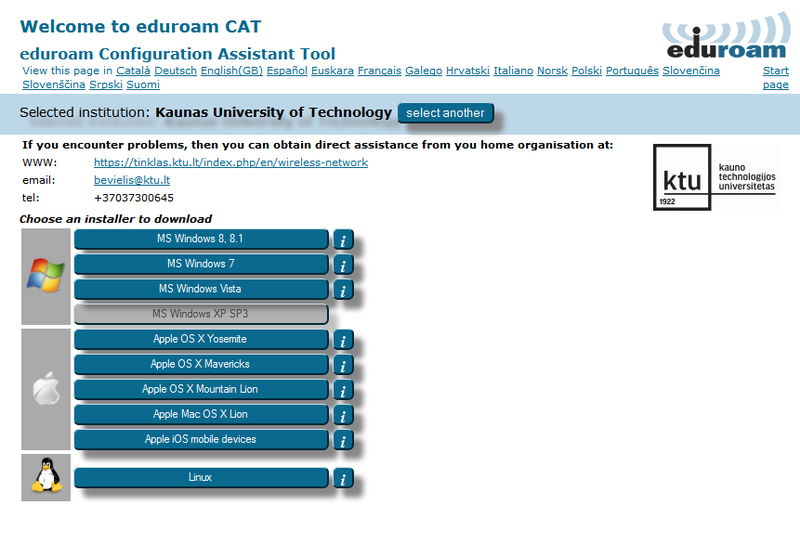 eduroam CAT home page https://cat.eduroam.org. Please contact your local administrators to LITNET eduroam.